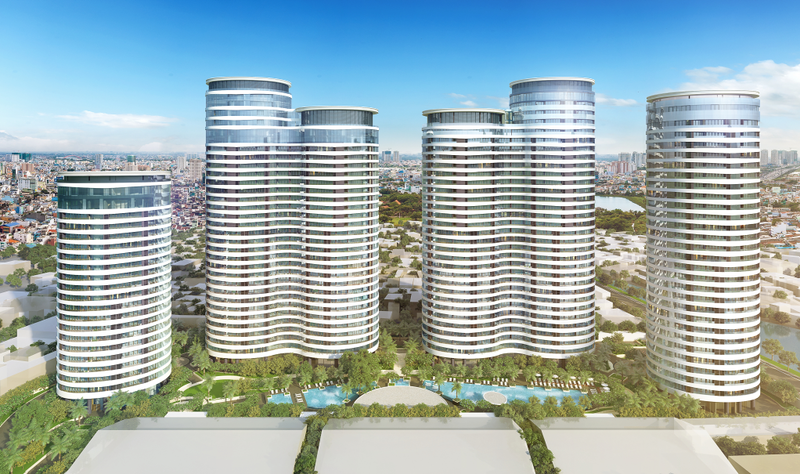 Ahead of the new and final release of Ho Chi Minh City’s most popular residential development, City Garden and Cathay Pacific today announced a collaboration benefiting buyers of the six exclusive Penthouses. The one of a kind offer combines the sumptuous luxury of penthouse living with the exclusive premium service for which Cathay Pacific are known. 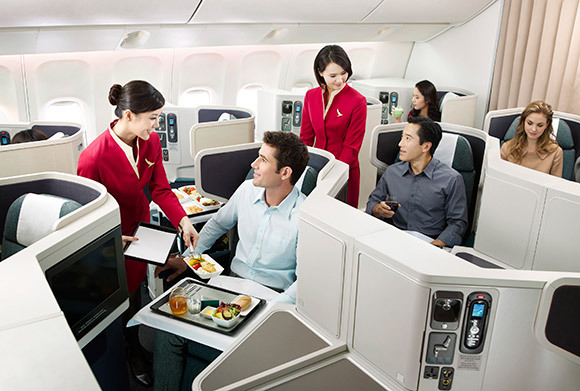 Upon a Penthouse purchase, buyers will receive a Gold Membership to Cathay Pacific's Marco Polo Club the next time they fly with the airline. That means, immediate access to a world full of luxury and recognition complementing the exquisite lifestyle synonymous with City Garden’s coveted Penthouses. Limited time offer exclusively for City Garden’s residents: from 01/10 to 31/10/2017, City Garden’s residents can enjoy award-winning airline service and up to 30% discount on flights to North America between 01/10 and 15/12/2017. What’s more, there’s a full refund guaranteed if your visa application is unsuccessful. 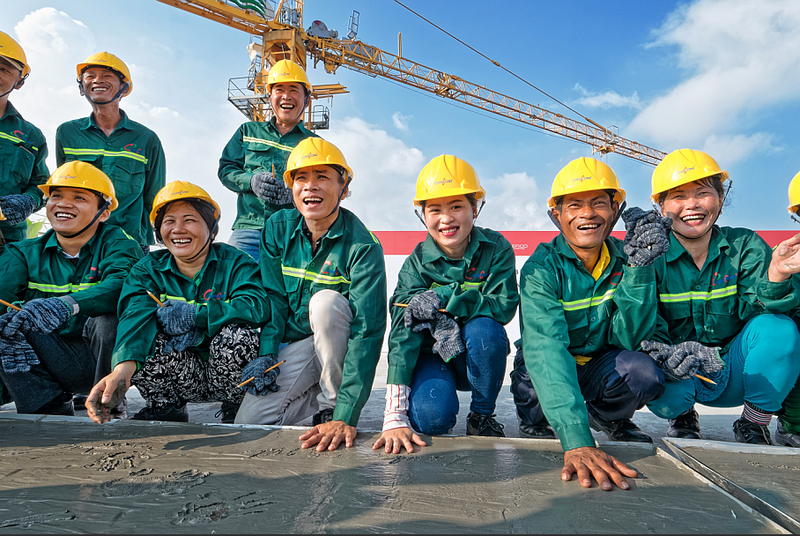 Real estate developer Refico celebrated the workers, their commitment and an astonishing 3.5 million man hours of accident-free work at the topping-out ceremony of the second phase of its City Garden project in Ho Chi Minh City on Monday. In its second phase, City Garden apartment complex is located at 59 Ngo Tat To Street, Binh Thanh District. Thirty representatives of City Garden’s 1000+ workforce signed a concrete slab atop Promenade Tower, the third in the development’s quartet, on Monday morning as a symbol of their lasting impression on the project and the city. Workers leave a lasting mark as City Garden's Phase 2 nears completion. “We have been incredibly fortunate to have such a dedicated and talented group of men and women without whom we would never have been able to build such a successful residential development,” said William Towne Baker, General Director of City Garden. “From the groundbreaking until now we have diligently noted the number of daily workers and number of hours worked to reach 3.5 million hours without accident. 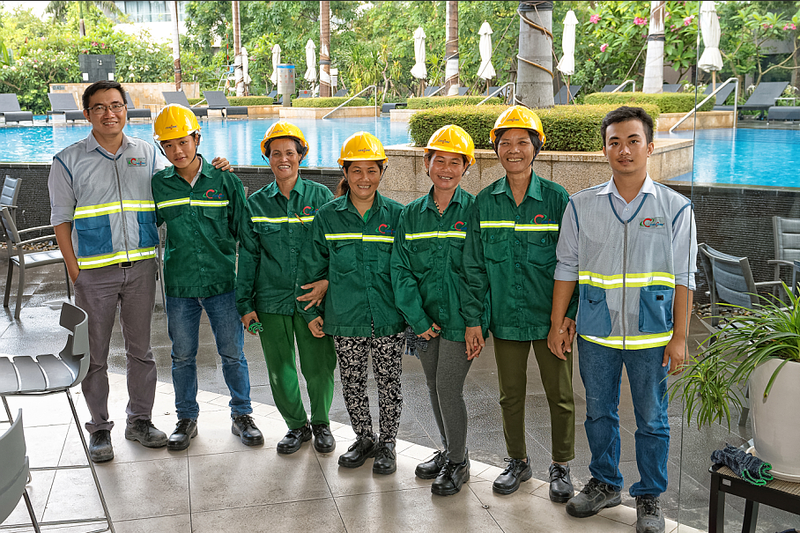 Proud workers gather before putting in another day of accident-free work. Following the signing, representatives of Refico, City Garden, Mace, Coteccons and the workers met on the ground with a representative of the Lighthouse Club, an organization that works to unite and benefit all construction workers and the industry itself. 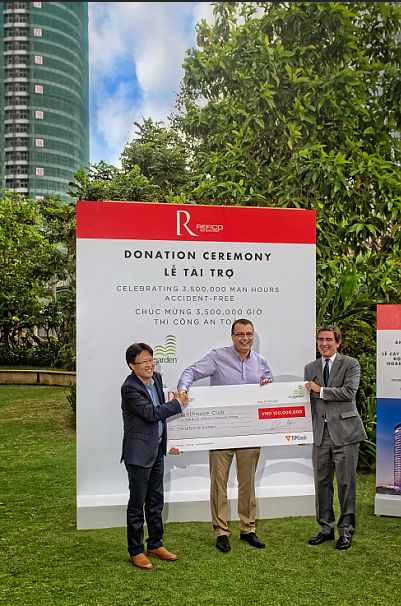 Refico and City Garden presented the foundation with a substantial donation of VND100,000,000 (US$4,464) in the name of injured workers and their families. Lighthouse Club is a proponent for safe working practices, making it an apt recipient for the donation. “We appreciate today’s recognition,” said Mr Colin Johnston of Lighthouse Club Asia Pacific. “This donation will help support families of accident victims with schooling and general living expenses, as well as help furthering the education of impoverished students wishing to pursue a construction-related field like architecture and engineering. City Garden as a whole consists of four distinct towers, which are in harmony with one another as well as the surrounding environment and community: Avenue, Boulevard, Promenade and Crescent. The first residents moved into Avenue and Boulevard towers in 2012, while the handover for Promenade and Crescent towers remains on schedule for August 2018. According to the Chairman of Refico Real Estate Group, Mr Tran Quyet Thang, City Garden is a vital and valuable addition to Binh Thanh District, which will become the beating heart of Ho Chi Minh City in the coming years. “Refico develops landmark properties in growth locations, and brings together the skills and experience of international and local consultants, such as Coteccons and Mace,” said Mr Thang. Mr Thang continued, “The strength of this approach is evident at City Garden, which is not only an architectural landmark and an international benchmark for future development, but one of the city’s most highly sought after communities. Designed by renowned Australia-based architect Koos de Kiejezer of DKO and comprising 927 apartments, City Garden is a private gated community located five minutes from the city’s Central Business District (CBD). As the name suggests, the development boasts more than 17,000 sqm of landscaped gardens as well as breathtaking views of the city. Elliptically shaped, the four towers make a signature impression on the skyline while the project itself is recognized as one of the city’s most popular residential addresses. Residents enjoy premium resort-style amenities, including three swimming pools, a swim-up bar, a private gym equipped with top-of-the-line equipment, barbecue areas, a jogging path and children’s play areas. Additionally, residents have exclusive access to specially chosen restaurants, shops and minimarts on the ground floor. Ho Chi Minh City’s municipal government plans to build 5 elevated highways to help reduce traffic congestion. The 1st highway will commence next year (2017) at an estimated budget of 15,000 billion Dong. Recently, Binh Thanh District has conducted the survey for compensation and resettlement of residents along Van Thanh Canal so as to build up roads along the canal. Total budget is about VND 1,300 billion (~USD 60 million). Ho Chi Minh City, 3 August 2016 – City Garden this weekend previewed their luxury addition, The Sky Residences, to the public. More than 70 VIP buyers, foreign and domestic, attended the event at The Skydeck, 59 Ngo Tat To, Binh Thanh District, on Saturday from 9 a.m. until noon. With only 16 of the sought-after Sky Residences to be built atop the Promenade Tower and in conjunction with pre-launch sales, the City Garden team saw 12 of the luxury apartments sold only two hours into Saturday’s event. Familiar with the design, quality and commitment City Garden is renowned for, the weekend’s buyers are excited to move into their new apartments upon completion to enjoy the luxury lifestyle afforded amidst the surrounding community. Refico, a leading Vietnamese developer, has employed a vast number of man hours and resources to ensure the best for buyers of their second phase in general by improving over-all build quality, design and layout to ensure the project’s value over time. The team has especially elevated that attention to detail where The Sky Residences are concerned. For The Sky Residences, located 27 or more ﬂoors up at 100m above the ground, quality of space has been focused where ceilings have been increased to 3m and the living room features a 12m-wide arc. This added space will allow owners to feel more comfortable while also having a more unique area from which to enjoy the panoramic views of the city below. Having paid close attention to the apartments’ interior design, extra focus was put on the aptly named ‘kitchen island’. The Sky Residences kitchens are fully equipped to become the most central space for the whole family, where all materials and equipment are natural, authentic and sustainable, i.e. European granite countertops. Additionally, The Sky Residences include stainless and anti-corrosive Kohler kitchen equipment and 2016-model Bosch appliances packages including stoves and dishwashers. Upon hand-over, buyers will immediately be able to move into and enjoy the luxuries in their new homes. In the rest of the apartment, the architects’ refined handling will be seen in each of the bedrooms, where imported engineered timbers will be installed as well as concealed air-conditioning systems. Bathrooms will also be equipped with Kohler sanitary equipment. And, finally, even the smallest details have been addressed in the carpentry details on the wardrobes, doors and wall skirting, alongside the facade details, enlarged outdoor balcony areas and lighting design optimisations. Developers of The Sky Residences shared the average price of the apartments as being approximately VND70 million/m2, wherein the size of the apartments varies from 115 m2 to 221 m2. Owners will be able to move into their apartments as of August 2018. Located on the upper levels of the Promenade Tower, The Sky Residences will offer sweeping panoramas and stunning finishes with focus on providing buyers with ample space as well as more quality products. The recently introduced apartments meet and exceed buyer demand, making it an incredibly attractive project in today’s busy market.